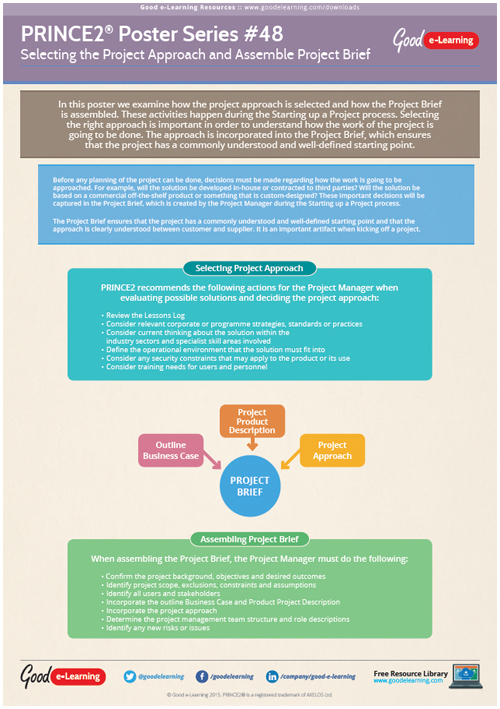 In this PRINCE 2 poster we examine how the project approach is selected and how the Project Brief is assembled. These activities happen during the Starting up a Project process. Selecting the right approach is important in order to understand how the work of the project is going to be done. The approach is incorporated into the Project Brief, which ensures that the project has a commonly understood and well-defined starting point.